Linear and 2D barcode Software - Corporate Edition is develop to generate sequential, random and constant value series of barcode labels and stickers in linear and 2D barcode font standards. Corporate barcode maker software provides option to set header, footer alignment and orientation of barcode labels as per need. 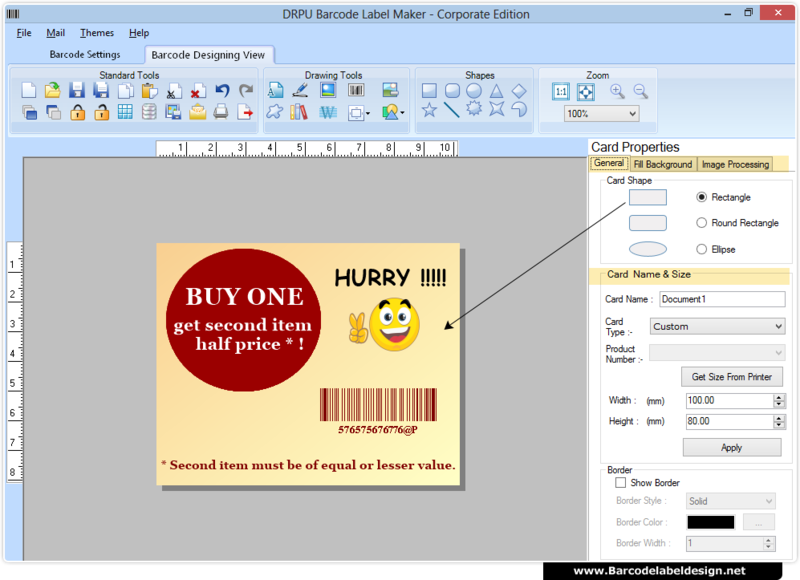 Software empowers you to design and print bulk number of barcode labels and coupons with advanced batch processing option. 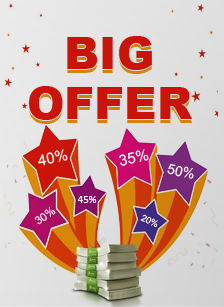 Software provides option to generate barcode coupons and stickers for different industries. Enable to design and create color barcodes with color settings. Provide option to save designed barcode images in different image file format including JPEG, TIFF, Bitmap, PNG, WMF, EMF, EXIF and GIF. Generate barcode labels using various drawing tools such as text, line, pencil, arc, pictures, Signature and other designing objects. Print designed barcode labels in pre define labels including Ace Label, A-ONE, APLI, Avery A4, Avery US Letter and many more.